PUNE: Though the All India Majlis-e-Ittehadul Muslimeen (AIMIM) has failed to secure a major victory in the civic polls held in Mumbai, it has made its presence felt in Pune and has bagged nine seats in Solapur’s Muslim-dominated pockets. The lone victorious AIMIM candidate in Pune is Daniel Landge, known for his social work in Yerwada. However, locals said they chose him based on the work he has done, and not the party he belongs to. The AIMIM had fielded 25 candidates in Pune and had campaigned vigorously, sensing an opportunity to make a big entry into the politics of western Maharashtra. It wooed Dalit voters and Muslims. The Owaisi brothers addressed two rallies in Pune prior to the election. The Congress and the Nationalist Congress Party (NCP) had both fielded strong Muslim candidates in certain areas, keeping in mind likely threats from the party. The party, however, failed to impress voters in Muslim-dominated areas, with the Congress retaining its traditional vote bank. 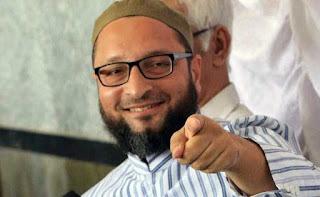 The Congress’ victory is considered significant as the Owaisi brothers had severely criticised Congress leaders for neglecting Muslims. Poll results indicate that Muslims voted either for the Congress or the NCP instead of the AIMIM. The party made spectacular gains in Solapur, once a bastion of former Union minister Sushilkumar Shinde. The AIMIM had four members in the dissolved houses. The Owaisi brother have been frequent visitors to Solapur, which has a large population of Muslims. The party also benefitted from the region’s geographical proximity to Andhra Pradesh, from where many Muslims migrate to the city. The party’s victory in Vidarbha and Marathwada during the municipal council elections held two months ago was remarkable.